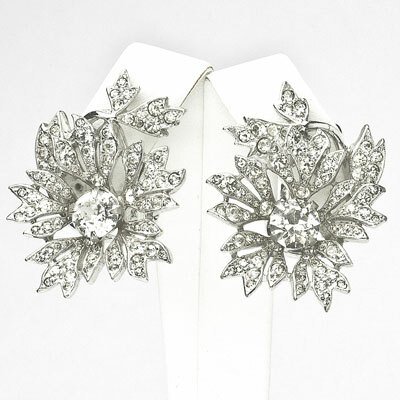 Dior vintage jewelry doesn’t get much better than these 1950s trembler ear clips: diamanté-encrusted flowers tremble from stationary pavé leaves, set in rhodium-plated metal. 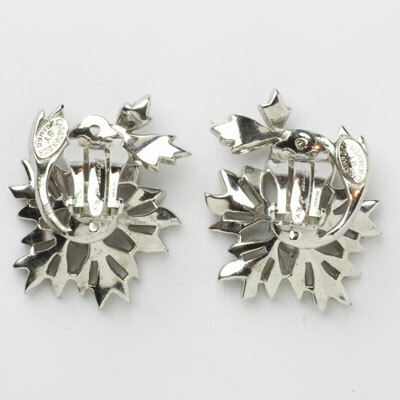 A tiny spring connects the two elements in each earring to allow for movement. 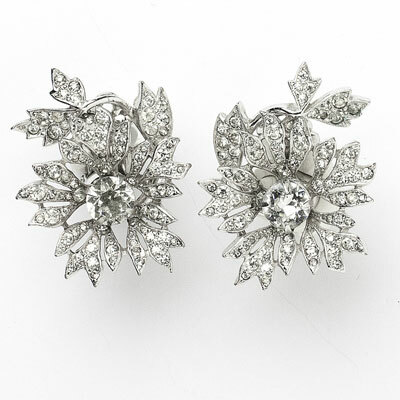 The right and left earrings face each other, to frame your face perfectly. 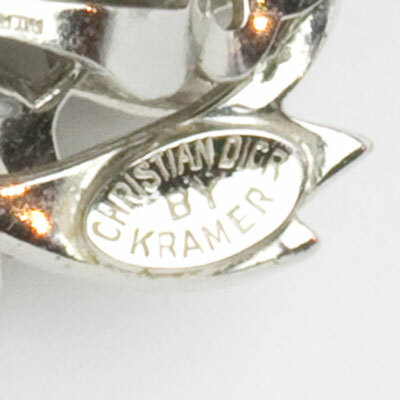 This stunning pair was designed by Dior for the American market but made by Kramer. 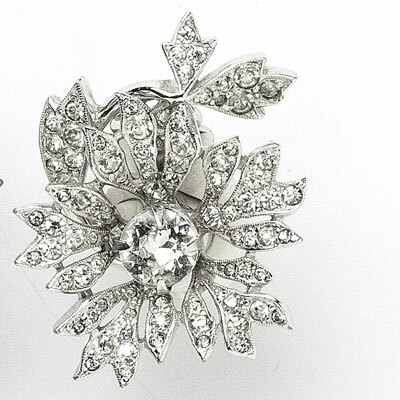 This American company signed an exclusive right of production agreement with Dior in 1952. These gorgeous earrings sparkled on the runway at Toronto Fashion Week for Spring 2019. 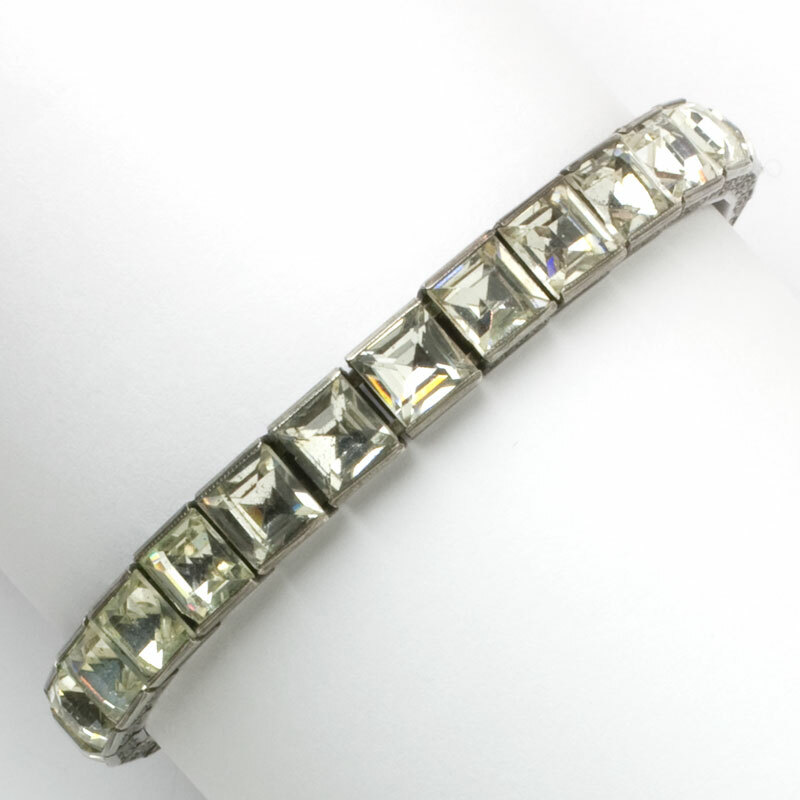 The model wore them with a 1920s Diamonbar bracelet – scroll down to see it.